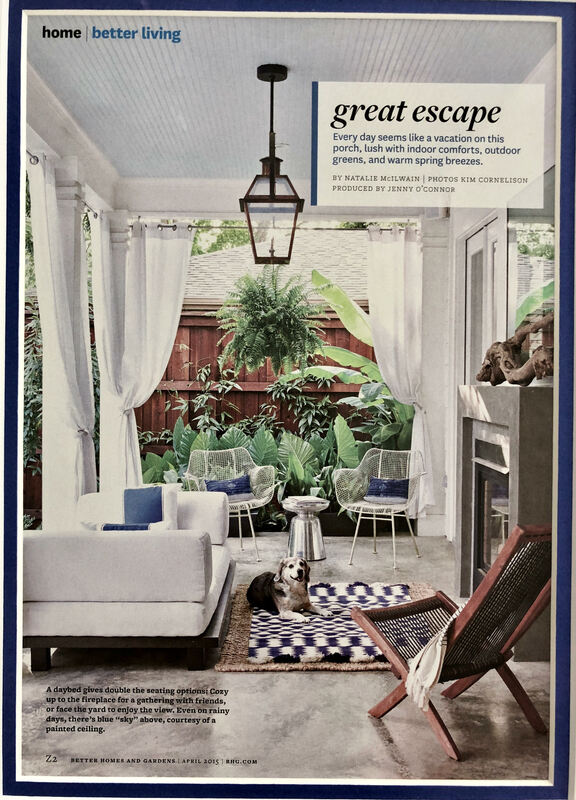 Better Homes and Gardens – March 2015 – Great Escape – Every day seems like a vacation on architect Eddie Maestri’s Dallas porch. Walls just can’t contain his style! 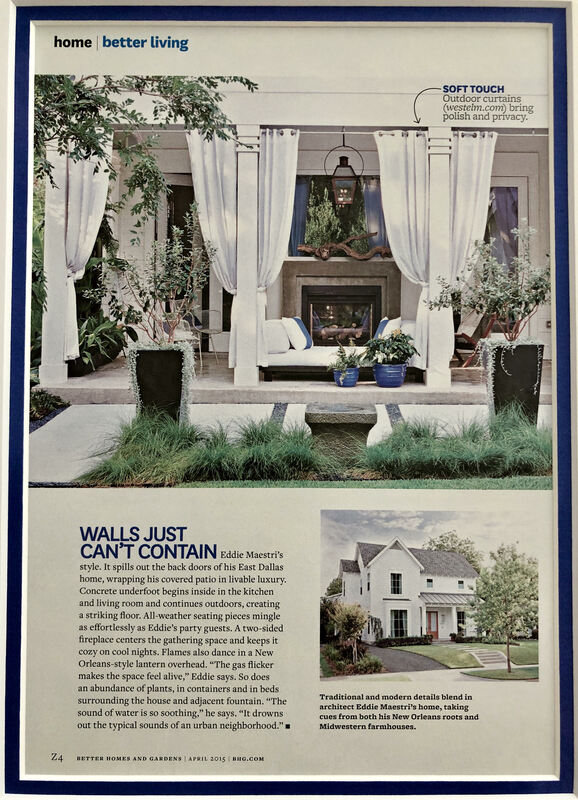 Traditional and modern details blend architect Eddie Maestri’s home.